I can not believe it's Friday again. this week has flown by and I've had nothing but issues. First, my brand new MacBook Pro broke so had to send that back for a refund. Then I woke up one morning to find Lexi had covered her hands and feet in nail polish, it was pink so a bit hard to stay angry about that one LOL. To stop this from happening again we brought a safety gate to keep her out of the living room, the first one we got was too small so had to take that back, luckily the second more expensive one fit nicely. But enough of my rambles, let's get into today's post, another prompt for the Crumpets Nail Tart's nail art challenge. This time we had to do a mani that had something to do with the sunshine, so I just went for the most bright and sunniest mani I could think of. 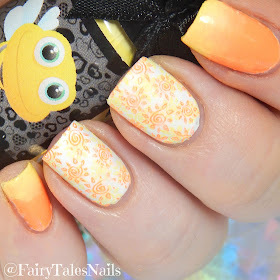 This beautiful Sun image on my two middle nails comes from Lina Nail Art Supplies Summer 01, this plate is packed with lots of fun summer images that will go great with all those neons you are wearing at the moment. For my pointer and pinkie, I used Esmaltes Da Kelly Bee and Cleo to create a sunset gradient. These blended together so easily and looked really nice with the sun image. I liked how these turned out, and the Esmaltes Da Kelly stamping polishes are so nice to work with they blend lovely for gradients and are extremely opaque when they are stamped. The fact that they have adorable animals on the bottles is just a great bonus. Really looking forward to seeing everyone else's designs. as always they will all be linked in the In-Linkz down below. 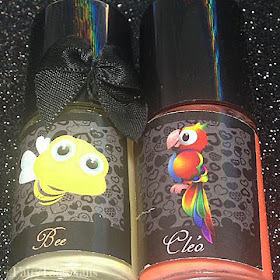 Hope you liked this quick post and you all have a really nice weekend, hope to see you back here on Monday I have a gorgeous collection from Heroine NYC to share with you. 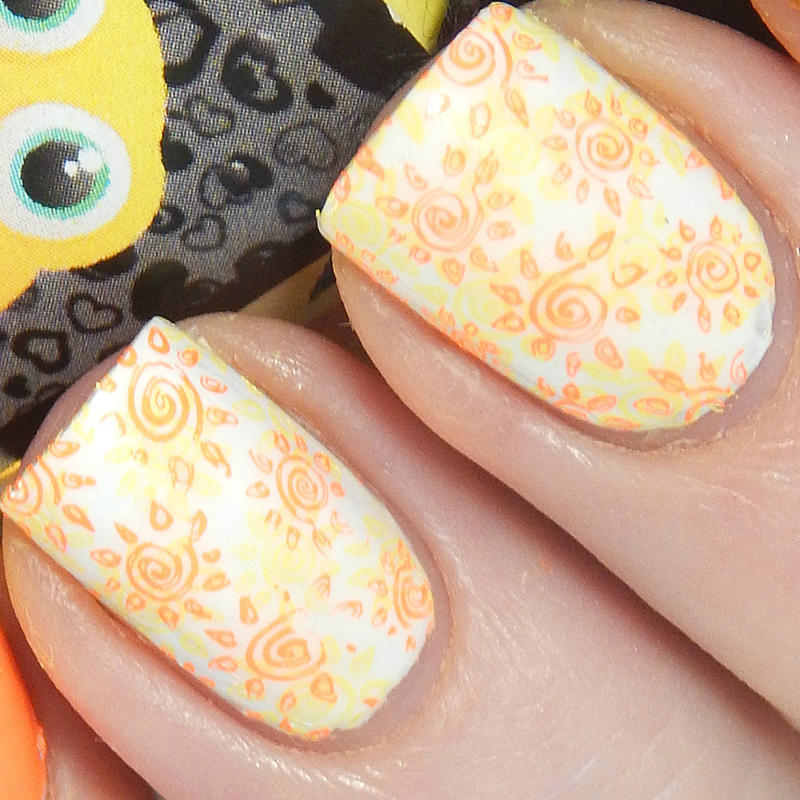 This is a very cheery mani, love the suns! I adore the cute stamping! Perfect Summer mani. That's a really cute happy stamped mani! That gradient pairs beautifully with your stamping. Definitely cheers me up on this dreary day! Cute stamping! I love seeing bright manis this time a year. Gorgeous mani, and I hope your week has gotten better! Your sunshines are so pretty and cheery! Love it!